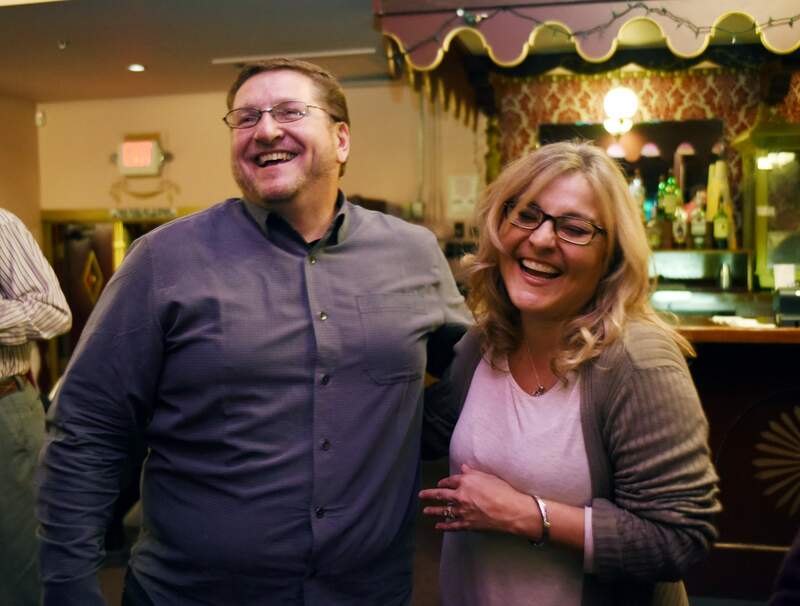 La Plata County Sheriff Sean Smith celebrates with his wife, Traci, on Tuesday night after learning he won a second term in office. Smith, who was challenged by Republican Charles Hamby and unaffiliated candidate Dean Mize, watched results come in with the La Plata County Democrats at the Strater Hotel. Charles Hamby, a Republican running for La Plata County sheriff, watches results Tuesday night at the GOP election watch party at the Rusty Shovel Saloon in Durango. La Plata County Sheriff Sean Smith won re-election Tuesday after taking a sizable lead against his Republican opponent, Charles Hamby, according to unofficial election results. Smith said his priority for his next term is to try to connect with some of the rural parts of La Plata County that may not feel their interests are being represented by the Sheriff’s Office. This election was a testament to the work he’s already done, he said. Smith beat Hamby by 20 percentage points. Final results had Smith with 57 percent of the vote with 15,898 ballots cast in his favor and Hamby with 37 percent with 10,343 ballots cast in his favor. Hamby said Tuesday night that he was waiting for the rest of the votes to be counted before commenting on results, even after the race seemed to tip in Smith’s favor. Dean Mize, an unaffiliated candidate, also said he was waiting for all the votes to be counted before commenting, although he wished the best to La Plata County. Mize took 6 percent of the vote. Smith won election four years ago after beating longtime Sheriff Duke Schirard, who served five terms as the county’s top law enforcement official. Smith vowed to be more community-minded than his predecessor. He enlisted the help of a consultant to reinvent how the Sheriff’s Office interacts with residents. He also created a special operations team to focus solely on community engagement. Smith also inherited a Sheriff’s Office with a shrinking budget – a result of declining county tax revenue. In response, he found new sources of revenue. Smith made improvements to the La Plata County Jail, generating $750,000 in revenue through bed rentals. He also didn’t fill unneeded positions, saving almost half a million dollars. Separately, Smith acquired $300,000 worth of used equipment from the federal government. He won awards for his logistical management of the 416 Fire, which burned more than 50,000 acres this summer north of Durango. He also changed how the Sheriff’s Office handles the homeless population in the county. 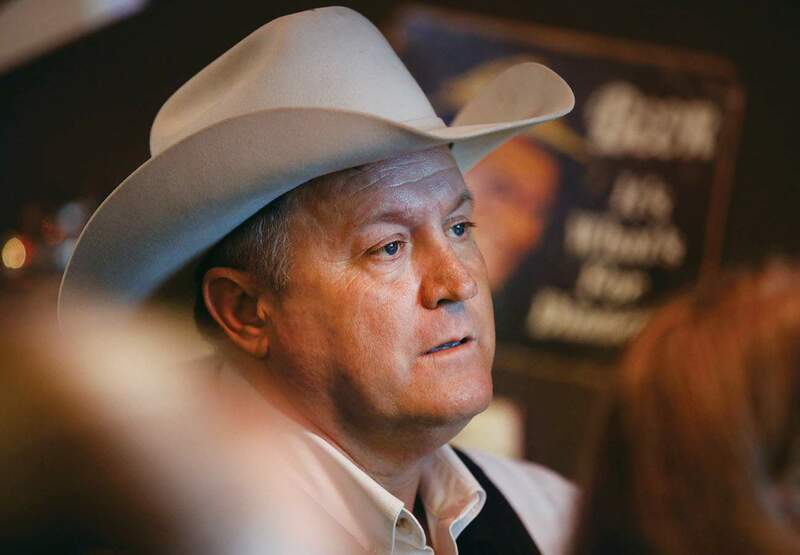 Homelessness became a defining issue in the 2018 race for sheriff. Smith stopped enforcing the county’s camping ban after the U.S. Department of Justice Civil Rights Division said arresting someone for sleeping outside, when there’s no other available alternatives such as a shelter or a camp, was unconstitutional. Hamby blasted Smith for his handing of the homeless situation, saying the Sheriff’s Office should have enforced the camping ban and that it isn’t the role of law enforcement to solve homelessness. Hamby, who used to work at the Sheriff’s Office, quit his job in 2014 after Smith was elected, saying he didn’t want to work for someone he planned to run against. Hamby has been on the campaign trail since early 2017. During his campaign, Hamby criticized Smith’s efforts to fill beds at the jail with inmates from outlying districts – something that generated revenue for the department. He said bringing more people into the jail without hiring more staff creates a safety issue for both inmates and officers. Hamby also suggested he would improve moral at the Sheriff’s Office. He said poor moral is the reason why 70 employees left the department under Smith’s tenure. Mize, an independent candidate, promised to represent the interests of residents, not a particular political party. He promised higher wages for sheriff’s deputies, something the Sheriff’s Office has struggled with as a result of budget constraints. Fourteen of the 70 people who left the Sheriff’s office in the past four years cited low pay as their reason for leaving, Smith said earlier this year. The La Plata County Sheriff is responsible for managing the La Plata County Jail, the largest of its divisions and the biggest detention center in Southwest Colorado, and all of the deputies who patrol the county and investigate crimes. That includes deciding how many officers patrol and how much time is spent on criminal investigations.